All About Crop Sprayers and Spraying! 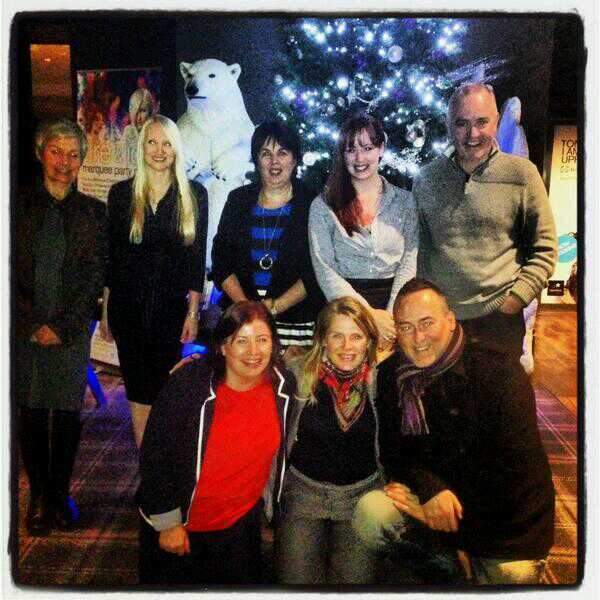 Getting Social, property gossip & meeting a real gardening award winner! So, this week I attended a Property ‘tweet-up’ (cue Chris rolling his eyes heavenwards) to meet in person some of my favourite property tweeters, bloggers and all-round property nuts! Being as when I’m not at Agratech, I spend half of my working life, and much of the rest of my life (leisure time, dream time….) instilled in anything to do with houses, property, renovation and just all-round general house nosiness, it was a night of pure heaven. 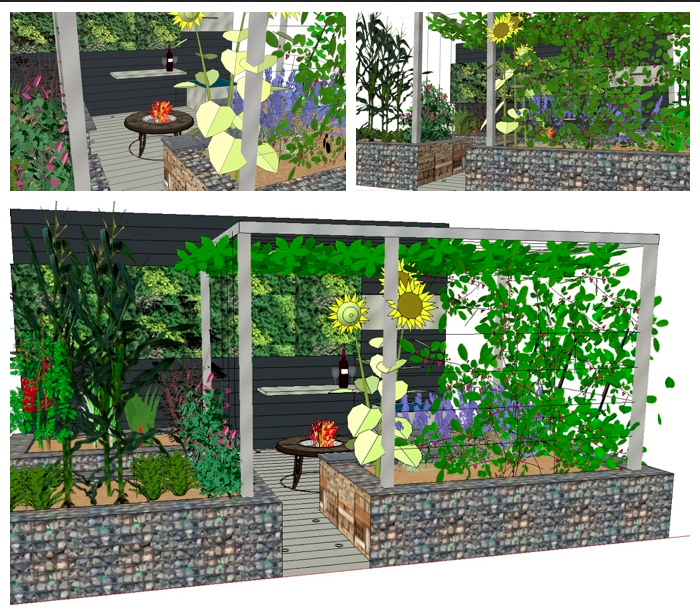 Not much to do with Agratech, and sprayers you’re thinking, except that one of the attendees was a lovely lady, Liz Ackerley of Poppyhead Consultancy, who was recently crowned the Grand Designs Live Garden Designer of the Year! And having read her blog and looked at some of her portfolio shots, I thought I should give Liz a mention. a chartered landscape architect and qualified garden designer with a number of years experience designing and managing landscapes from tiny courtyards to large private and public spaces. In the late 90’s Liz trained first at Capel Manor, Middlesex University where she was best garden design student of the year… Liz has held positions in several design consultancy and landscape architecture practices and has also taught garden design on courses in both London and Staffordshire. Fantastic, and you can read more about Liz, and find her contact details from her website here. 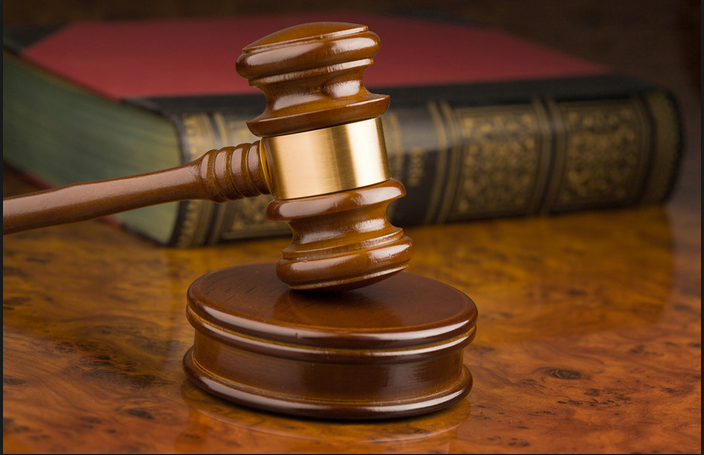 But Due to all Agratech staff having to appear as Court Witnesses, we will be closed on Friday 1 November. Obviously this is for reasons beyond our control and we hope to be back as normal Monday 4th November! You may of course continue to order via the website, but no orders will be despatched. From Diggers to Dogs, and Food to Ferrets…. This coming weekend, the CountrysideLive show takes over the Great Yorkshire Showground in Harrogate promising something for all the family. The two day event is jam-packed with hands-on activities as well as the usual country show displays and competitions.Children can try their hand at sausage and bread making, willow weaving and straw crafts; release your inner Robin Hood having a go at Archery; or play with some big toys at Diggerland! The shopping and food sections house a variety of local produce and a chance to bag some more individual artisan Christmas gifts! The show runs Saurday 19th & Sunday 20th October, and tickets are priced at a very reasonable £22 for a family of 2 adults and 3 children, individual tickets are available. The CountrysideLive website is here. and to mark this fantastic event in the Equestrian calendar, Agratech are offering customers a chance to save across our range. 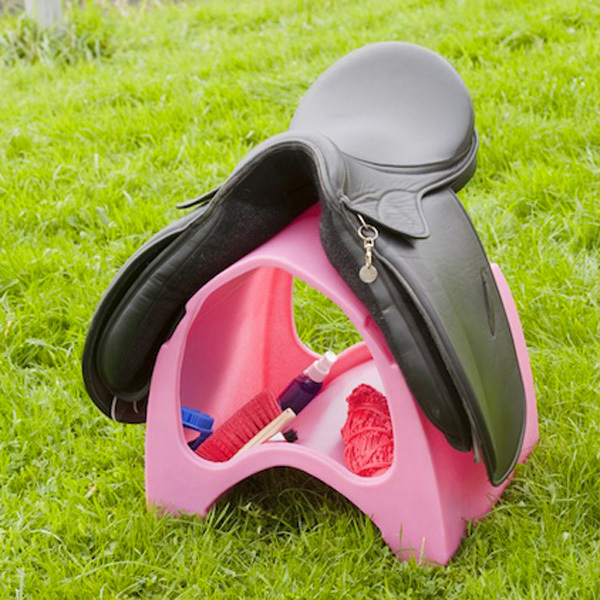 So whether you are looking for a Tack Pack, Saddle Carrier, Mounting Block, Jump Blocks or anything else horse-related you can make a great saving! And whilst it’s really too early, and we don’t like to mention it yet, dozens of you were left disappointed last year when you tried to order Equestrian items as Christmas Gifts, only to find you had missed the manufacture cut-off date! This year we have almost every colour in stock, but if we don’t there is still plenty of time for it to be made for you! Also, to make this offer even more tempting, and as we appreciate that these are bulky items that are difficult to hide, we will even offer you a Shop & Store* facility – just place your order now, and we will ship nearer to Christmas. That way you can guarantee that you will get the item you want, wihout the hassle of trying to conceal it till the big day! You can see the whole Equestrian range by clicking here! 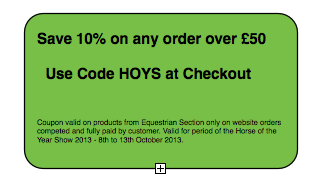 To claim your discount, spend a minumum of £50 (exVat) and use the voucher code HOYS at checkout. Don’t forget to add the Shop & Store product to your basket if you want Christmas delivery, and in the customer note section of your order please enter the earliest date you wish to receive your order. Useful Link to The Horse of the Year website here. This discount code expires 13th October 2013. *Shop & Store, the small print. Due to software limitations, we have had to include a nominal 1p price to include this as a product on our website, sorry about that. Orders will be desaptched as close to yur required date as possible, and in case of predicted adverse weather we will clear all orders from our warehouse, regardless of the date chosen. 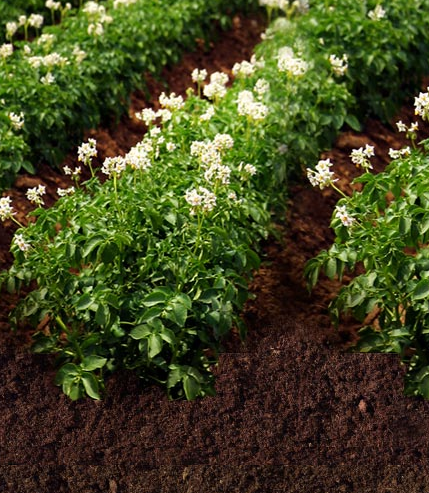 The Potato Council’s Potato Week is under way, aimed to drive awareness and sales of named potato varieties, and give British Potato growers a boost. Potato Council marketing manager, Kate Cox, said: “The autumn is a crucial time for potato consumption and the crux of our campaign – which is timed to coincide with main crop harvesting – is to encourage shoppers to trade up to popular named varieties. In doing so, we aim to promote increased consistency and enjoyment of potato-meals eaten in the home and encourage shoppers to see that they are worth paying a little more for. This in turn, will drive value growth of the potato category. That being said, there are some great recipes on the Love Potato website, and in particular Mr L is going to have a go at the Sticky Orange Potato Cake, so we’ll report back later. Potato week runs 7-13 October. Happy shopping and cooking! The Potato Cuncil website is here. 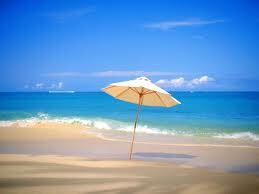 School holidays closure, Friday 16th August 13. Agratech are pleased to be able to extend their equestrain range with a selection of Horse Tack & Blanket storage boxes, Feed dispensers & bins and feed scoops. You can see these new items, and the whole equestrian range here on the website.